An online tutorial for using Power Point as a teaching tool. "10 Techniques to Change Your Teaching"
American colleges and universities have invested millions of dollars in equipment and "smart classrooms," but the jury is still out on whether computers have led to a revolutionary improvement in the quality of teaching. Professors are finding new ways to lecture, to run lab sessions, and to interact with students, however. The Chronicle dispatched reporters to classrooms across the country to find some of the most promising or unusual methods of teaching with technology. An extended article describing the benefits and best practices of classroom technology use. "Hospitable Gestures in the University Lecture: Analysing Derrida’s Pedagogy"
Based on archival research, this article analyses the pedagogical gestures in Derrida’s (largely unpublished) lectures on hospitality (1995/96), with particular attention to the enactment of hospitality in these gestures. The motivation for this analysis is twofold. First, since the large-group university lecture has been widely critiqued as a pedagogical model, the article seeks to retrieve what may be of worth in the form of the lecture. Second, it is relevant to analyze the pedagogy of lectures that address the topic of hospitality, as there would be a performative contradiction in teaching inhospitably about hospitality. "Three Traditions in Three Weeks!?? : Using Study Sheets in a "Maymester" Course"
One page TTR Teaching Tactic: using study sheet handouts to help students learn from lectures, in a compressed "Maymester" class. "Student Involvement: Active Learning in Large Classes"
The challenge is to reconcile the recommendations of the experts for involved learning with the reality of passivity that plagues large classes. "Leading Discussion in a Lecture Course: Some Maxims and an Exhortation"
Presents some maxims and an exhortation on leading discussion in a lecture course. Loneliness of lecturing; Discussion can feel light-weight and loose jointed; Different formats; Using discussion to break up lectures; Many excellent lecturers fear discussion; No real discussion occurs without some level of conflict or difference of ideas; Lecturers making the transition into discussion-leaders; Details. ch. 7	Are There Any Questions? 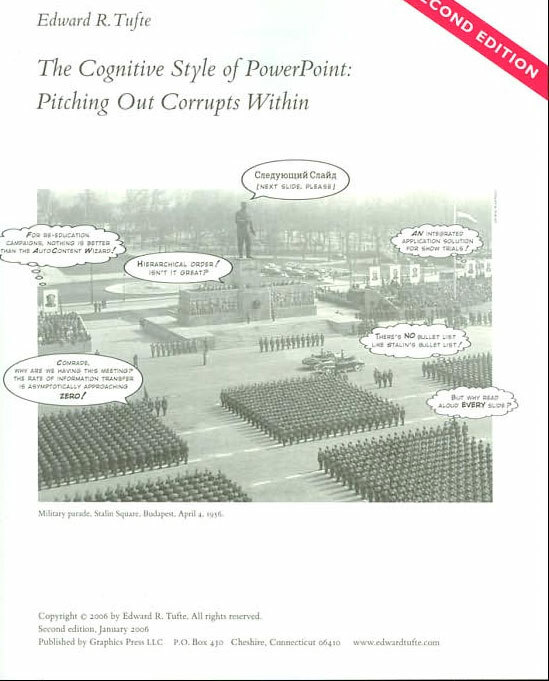 Short essay acknowledging the critique of PowerPoint, but arguing for its more effective use. Clickers can be used to increase student-student and student-instructor interactions, to assess student preparation and learning, and to probe students' opinions or attitudes. This paper argues that instructors can enhance the effectiveness of oral instruction through attention to both the verbal and nonverbal aspects of their teaching. After defining and offering 2 means of achieving effective speaking, the paper discusses how lecturers should analyze their delivery, and makes 32 recommendations for improving delivery, focusing on vocal problems, positive vocal strategies, use of body, and positive body delivery characteristics. Finally, the paper offers suggestions for putting the 32 recommendations into practice, specifically discussing identification of problems, delivery style, mental focus, and preparation. Fourteen references are attached. Makes suggestions regarding questioning techniques that are appropriate for lecture classes as well as for discussion groups. Idea Paper no. 31, from the series developed by the Center for faculty Evaluation and development, Kansas State University. "An Instructor Survival Kit for Use with Large Classes"
Sooner or later, almost every university teacher confronts having to teach a course with 200 students in it, or suddenly finds 60 enrolled in a course so carefully designed for 20. For that teacher, we here present Maryellen Gleason's all-too-necessary "survival kit," a set of ideas and resources that recognizes the special challenges of the large class and that can enhance it as an environment for student learning. Based on experimental research of effective speaking, this article reviews: what is effective lecture delivery; how lecturers can analyze their classroom delivery; and how lecturers can improve their classroom delivery. Idea Paper no. 14, from the series developed by the Center for Faculty Evaluation and Development, Kansas State University. The editor of Teaching Theology and Religion facilitated this reflective conversation with five teachers who have extensive experience and success teaching extremely large classes (150 students or more). In the course of the conversation these professors exchange and analyze the effectiveness of several active learning strategies they have employed to overcome the passivity and anonymity of the large lecture format. A major point of debate emerges that contrasts the dynamically performative and highly informed and skilled lecturer with the “wasted time and money” that results from encouraging students to participate through various active learning strategies. 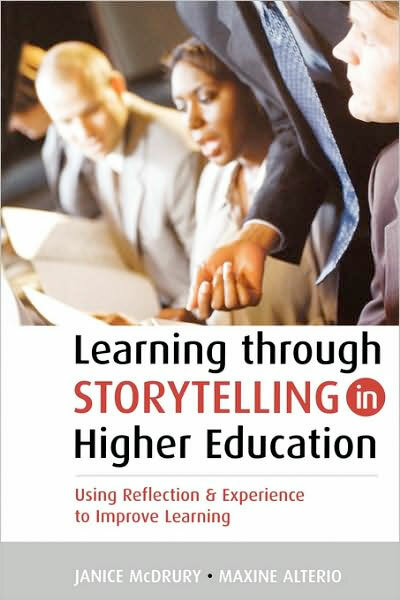 Other themes include the importance of story telling in the religious studies classroom, the significance of the differences between students' learning styles, and the challenge of teaching and assessing critical thinking and communication skills. Short essay that argues that digital technology can enhance our students' learning, but only if our goals for student learning drive its use – and the implications there of. DeZure, Deborah; Kaplan, Matthew; and Deerman, Martha A. Reviews research on the impact of notetaking and how the review of notes affects student learning. The paper also explores the role that instructors can play, suggesting several specific strategies to support students. I used to start the term with a lecture of review, and during each subsequence class I would give students a summary of what was covered in the previous class. When we collected data on this practice, it showed that this form of review was less than useless. An overview of research in cognitive psychology, linguistics, and teaching science. 1) note taking strategies used by students; 2) the different factors involved in comprehension through note taking; 3) “writing to learn”; 4) the learning contexts that allow effective note taking. Overall, there are a number of reasons why using clicker questions in a large lecture class makes sense. When used effectively, clickers can help the students become actively engaged in the lecture and help them learn the material better. Click it to stick it! A 4 page paper that reviews the strengths and weaknesses of lectures, and provides a concise list of recommended practices. Lots of bibliography for further reading. Idea Paper no. 46, from the series developed by the Center for faculty Evaluation and development, Kansas State University. "A short bulleted list of effective techniques when lecturing, from Stanford University's Teaching Commons. " Teachers can convey their ideas more powerfully if they take time to improve their presentation skills. The Act of Teaching , Nancy Houfek, Head of Voice and Speech for the American Repertory Theatre at Harvard University, leads a workshop that stresses the importance of communication with the whole self in order to reach an audience. Throughout the workshop, she introduces participants to the same techniques that actors use to prepare and deliver a performance, including warm-ups, relaxation, strengthening, and visualizing exercises. In Part I, Theater Techniques for Classroom and Presentation, Houfek focuses on overcoming stage fright, knowing your objectives, and "landing your message." 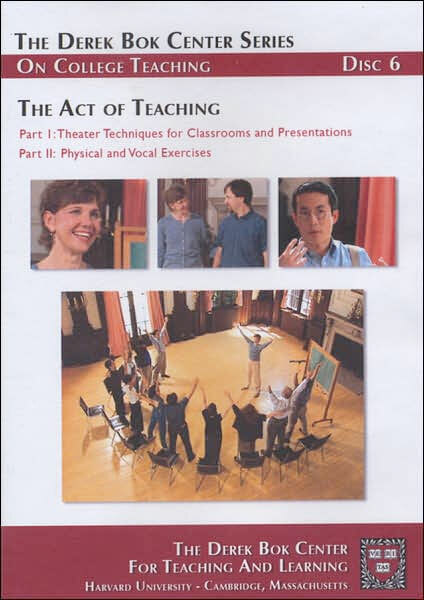 In part II, Physical and Vocal Exercises , she leads teachers through 20 minutes of exercises specifically designed to prepare them for the physical challenges of the classroom, beginning with "Waking Up the Body," and moving to vocal warm-ups that treat the voice as an instrument requiring care. Together, these techniques and exercises present a new set of resources that greatly broaden the avenues we customarily use in communicating with colleagues and students. An illustrated guide to exercises is included ad a PDF. "On Grading Exams: Procedural Suggestions for Large Courses"
Some techniques to try to draw students into discussion after they've heard a lecture. Prezi is a free online presentation tool that allows you to create and share dynamic presentations. Without slides and bullet points, you are able to explore relationships among ideas through movement, allowing the form of your presentation to support its content. "Discoveries and Dangers in Teaching Theology with PowerPoint"
PowerPoint can be a genuine aid to theological education by providing a medium for employing visual art in the classroom. But PowerPoint does not and should not replace the ordinary stuff of teaching and learning theology: reading, lecturing, discussing texts, and writing papers. Like any other tool, its pedagogical benefit depends on discerning use. Particular care must be used to blunt PowerPoint's tendency to produce a disembodied, decontextualized learning environment. Using PowerPoint to incorporate art into theology classes is not merely a strategy for making verbal points more powerfully. Art can sometimes go where theological words cannot. These methods of non-sequential navigation in PowerPoint can help you add flexibility to your class sessions and better respond to the needs of your students. An empirical study comparing the amounts of learning achieved using two different instructional approaches under controlled conditions -- straight lecturing, compared to a pedagogical strategy involving more active learning by the students. Stanley, Christine A. and M. Erin Porter, eds. Large classes are a fact of life in higher education. With 100 or more students in fixed seating, how does a faculty member structure the class to promote student learning? How does one manage the logistics of such a class? Are there alternatives to the lecture format? Are there actually advantages to the large class? Engaging Large Classes addresses these and many other questions. Activities you can use to engage your students during your lectures and how to work these activities into your class. Video. Several extended video presentations, from the Merlot Elixer Initiative, illustrating active learning techniques in large lecture contexts in various disciplines (NOT including religion or theology). 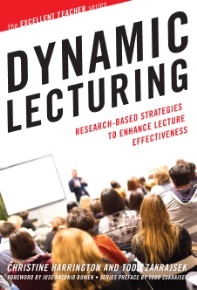 This book records the story of how one professor at a research university used a form of active learning to change the way he taught— from traditional lecture and examinations to cooperative learning and student projects. Video. Several extended video presentations, from the Merlot Elixer Initiative, showcasing a variety of Audience Response Systems uses -- including “clicker” devises for multiple choice test taking, surveys, and reflective learning. Simple orientation to Problem Based Learning with helpful how-to PDF files to download. Case study by a professor who transformed his lecture class into a cooperative learning class. Guidelines for writing good multiple-choice exam questions that can evaluate higher levels of learning (such as integrating material from several sources, critically evaluate data, contrast and compare information), as well as provide diagnostic information. Idea Paper no. 16 , from the series developed by the Center for Faculty Evaluation and Development, Kansas State University. "What To Do When You Stop Lecturing"
"Teaching the Mass Class: Active/Interactive Strategies that have Worked for Me"
"Beating the Numbers Game: Effective Teaching in Large Classes"
This one-page document gives advice on how to handle large classes. Specific items it examines include creating an interactive lecture, handing out of class assignments, and miscellaneous tips. It is written by Rich Felder an expert in Engineering education. Brief analyses of why and how to use technology effectively when teaching large classes. Weimer, Maryellen Gleason , ed. Barkley, Elizabeth F.; Major, Claire H.
Have you ever looked out across your students only to find them staring at their computers or smartphones rather than listening attentively to you? Have you ever wondered what you could do to encourage students to resist distractions and focus on the information you are presenting? Have you ever wished you could help students become active learners as they listen to you lecture? 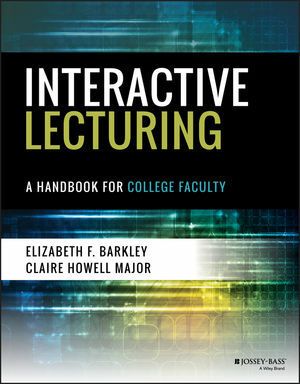 Interactive Lecturing is designed to help faculty members more effectively lecture. This practical resource addresses such pertinent questions as, “How can lecture presentations be more engaging?” “How can we help students learn actively during lecture instead of just sitting and passively listening the entire time?” Renowned authors Elizabeth F. Barkley and Claire H. Major provide practical tips on creating and delivering engaging lectures as well as concrete techniques to help teachers ensure students are active and fully engaged participants in the learning process before, during, and after lecture presentations. 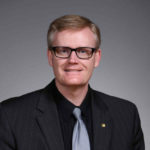 Research shows that most college faculty still rely predominantly on traditional lectures as their preferred teaching technique. However, research also underscores the fact that more students fail lecture-based courses than classes with active learning components. Interactive Lecturing combines engaging presentation tips with active learning techniques specifically chosen to help students learn as they listen to a lecture. It is a proven teaching and learning strategy that can be readily incorporated into every teacher’s methods. 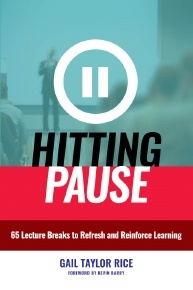 In addition to providing a synthesis of relevant, contemporary research and theory on lecturing as it relates to teaching and learning, this book features 53 tips on how to deliver engaging presentations and 32 techniques you can assign students to do to support their learning during your lecture. The tips and techniques can be used across instructional methods and academic disciplines both onsite (including small lectures and large lecture halls) as well as in online courses. 300 page pdf version of a book about effective communication. For any given idea we have, there are 100 different ways to communicate it. Which one do you choose? The book answers these questions, and this guide helps to distill these concepts into teachable exercises. "The Lively Lecture - 8 Variations"
Techniques for providing variety and effectiveness within the lecture format are described, including the oral essay, participatory lecture, problem-solving approach, alternating mini-lectures and discussions, modeling analytical skills, debate, simulation and role-playing, and the affective/emotional media lecture. In this interview, an assistant professor reflects on her choices and successes in teaching a large Intro to Anthropology lecture class: encouraging a "need to know" in her students, establishing an active learning environment, and getting students to prepare for class. Based on experimental research of effective speaking, this article reviews: what is effective lecture delivery; how lecturers c an analyze their classroom delivery; and how lecturers can improve their classroom delivery. Idea Paper no. 14, from the series developed by the Center for Faculty Evaluation and Development, Kansas State University. This site provides a number of resources and suggestions for designing and delivering effective lectures. An excerpt from “Improving The Effectiveness Of Your Lectures,“ by William L. Heward, outlining an approach to enhancing the effectiveness of student learning during lectures – through instructor-prepared handouts providing students with background information and cues to write key facts, concepts, and/or relationships during the lecture. I realized my rookie mistake: not setting clear objectives for the beginning of the lesson. After a little digging, I learned what I could have done better. With this splendid monograph by Allan Gredalof the Society for Teaching and Learning in Higher Education launches its new series of Green Guides. Each guide will deal with some aspect of teaching and learning in higher education. They will be solidly based on relevant research and theory, but the approach will be pragmatic and applied. The guides will be short, with an emphasis on clear, jargon-free expression, and plentiful examples of how the ideas being discussed relate to real teaching situations faced by Canadian academics. Another feature of the guides is their reasonable price, which is made possible by the generous donation of time by STLHE members in writing, reviewing, editing, and distributing these valuable resources. The idea of Grene Guides originated with our sister organization on the other side of hte world, the Higher Education and Research Development Society of Australasia. HERDSA published its first guide in 1984, and they have now published more htan 20 guides on a wide range of topics related to teaching and learning in higher education. HERDSA has very generously allowed us to use their title for the series, and we will shortly be embarking on a collaborative endeavour to jointly publish some titles in both Canada and Australia. 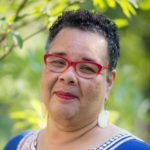 This arrangement has been greatly facilitated by the generous help of Dr. Kym Fraser of Monash University, who chairs the HERDSA publications committee. ch. 2 What is a large class? Do you teach one? A simple and short chart that provides a few simple strategies for making lectures more interactive. In prepping for lectures, this is the largest pronunciation dictionary, all the words in all languages pronounced by native speakers. Resources for redesigning large course, to achieve improved efficiency, cost effectiveness and increased student learning. 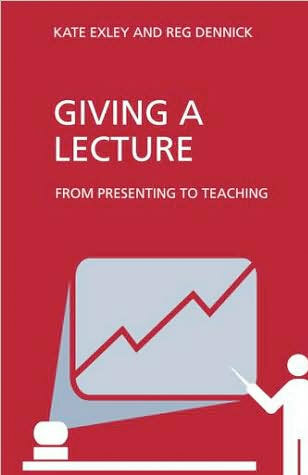 "Twenty Ways to Make Lectures More Participatory"
"Guided Notes: Improving the Effectiveness of your Lectures"
The second edition of Giving a Lecture builds upon the reputation and success of the Key Guides for Effective Teaching in Higher Education series. It is an excellent resource for those new to teaching at the University and College level and for those who just want to reflect upon and refresh their lecturing practice. The best selling first edition has been fully revised, and this edition continues to cover all the basics on how to go about lecturing while maintaining its jargon-free and accessible style. New lecturers will find the second edition equips them with the essential tools and guidance for delivering a successful lecture, and explains exciting new developments along with the fundamentals of lecturing. Part 1	What Objectives can Lectures Achieve? Part 2	What Factors Affect the Acquisition of Information? Part 3	What Lecture Techniques Apply these Factors Most Effectively? Starting with brain science research on attention span and cognitive load, Rice bases her book on two fundamental principles: shorter segments of instruction are better than longer ones, and learners who actively participate in instruction learn better than those who don’t. Pausing helps teachers apply these principles and create student engagement without requiring major changes in their lesson plans. With careful planning, they can integrate pauses into learning sessions with ease and significantly reinforce student learning. They will also gain feedback on students’ comprehension. Rice sets out the characteristics of good pauses, gives advice on how to plan them and how to introduce them to maximum effect. She provides compelling examples and concludes with a repertory of pauses readers can easily modify and apply to any discipline. Edwards, Helen, Brenda Smith, and Graham Webb, eds. Lecturing remains the staple teaching technique for most professionals in higher education. Lecturing can be a chore, a terror or an exhilarating experience. One thing that is certain: for students, good lecturing shows, is expected and pays dividends. This book does not deal with the dry theory of lecturing, but rather it brings together the advice, experience and guidance of many experienced successful lecturers from the UK, US, Australia and New Zealand. Together they provide stimulating and motivating practical examples of how to improve lecturing technique and confidence. MacGregor, Jean, James L. Cooper, Karl A. Smith, and Pamela Robinson, eds. Video. 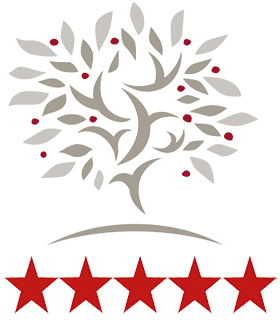 A video from The Harvard Graduate School of Education "Master Class" series. Eric Mazur (physics instructor) demonstrates how to conduct in-class activities without TAs.